In the Bermuda Triangle--a lot. Hoping to leave behind the reminders of her crappy life--her father's death years ago, her mother's medical problems, and the loser who's practically stalking her--seventeen-year-old Autumn Taylor hops on a ship with her sister for a little distraction. 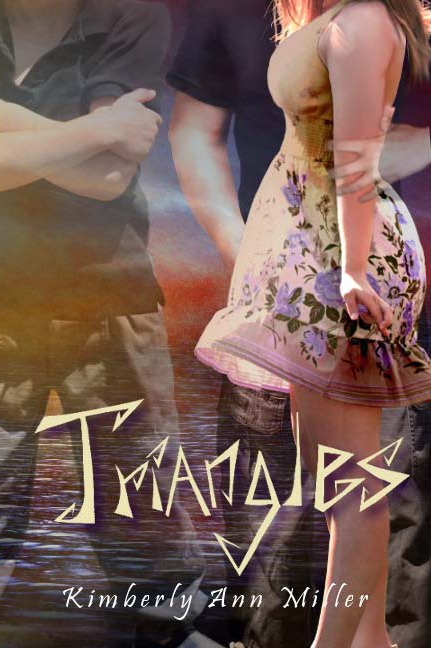 When she wakes up in the Bermuda Triangle, she fears she's gone nuts for more than one reason: that loser's suddenly claiming they're a happy couple... a hot guy is wrapping his arms around her and saying "Happy Anniversary"... and suddenly, she's full of bruises, losing her hair, and getting IV medication. Autumn visits the ship's doctor, hoping for a pill or a shot to make the craziness go away. Instead, she's warned that one of these "alternate realities" could become permanent. She just has to ask herself one question--how the hell is she going to get out of this mess? Thanks for sharing in my cover reveal! Hi, I am a new follower via GFC, Library Thing, Twitter, Facebook, Networked blogs, goodreads, and google +. I would love it if you could stop by sometime.